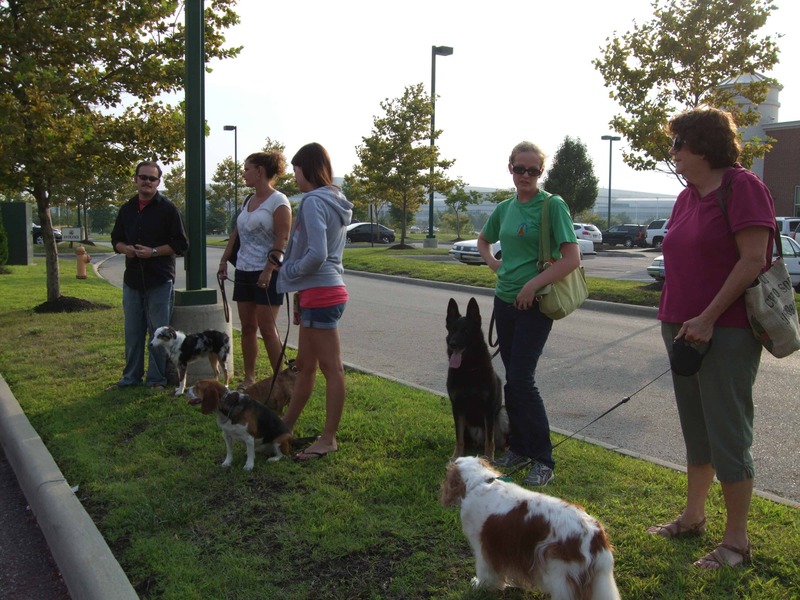 When considering obedience training for their dog, most dog owners think of group classes. The benefit of a group obedience class is economically its more affordable. Many opt toward the group environment because of this, but once they enter the group, they find that the other benefits are the camaraderie, the friendships they gain or the commiserating of their dog’s problems to one another. Classes can also offer a competitive edge that pushes members to improve and “keep up” and a great energy is created with a group of people working hard and feeding off that energy. Human nature is such that we enjoy doing things in a group; however group classes are not designed to be effective with all dog owners or puppies. They work best with a confident well-socialized dog or puppy. 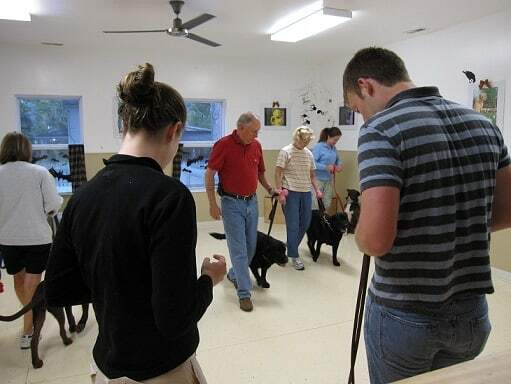 Group classes can be set up to be more successful by reducing the number of participants to around 6 or less or arranging it so the dogs are of similar personality and temperament. Offering aggressive dog classes or dog classes for dogs who are fearful or submissive can be beneficial since many of these dog owners already have the stigma that they have a “problem” dog. Working with other owners of similar dogs in small groups can also provide the catalyst to build confidence in the owners. So what alternatives does a dog owner have if group class isn’t the right setting for their dog or puppy? Check out part 3 in this series to learn more! The best learning environment ensures that your pup learns for the long-term! Pt. 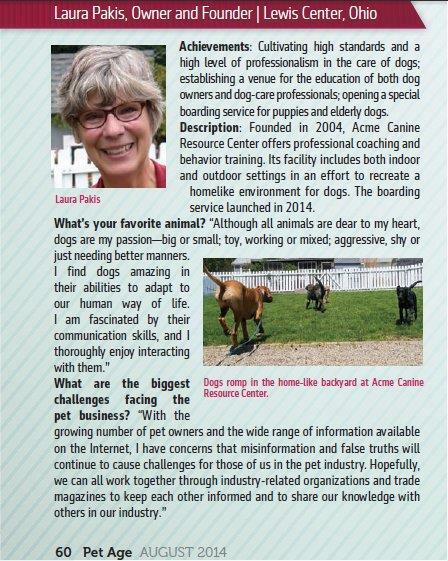 3 in our series focuses on the benefits of private dog obedience classes. This entry was posted in Training Tools and Techniques and tagged group dog classes. Bookmark the permalink.